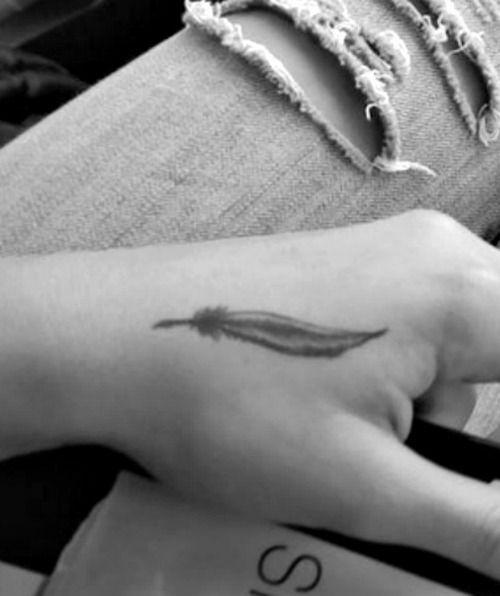 Feather tattoos for girls are typically simple and feminine, and are often inked in certain places to appear more delicate and intimate, such as on the hand. 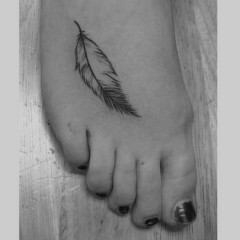 This person’s tiny feather tattoo is inked in black and white and is located on the outside of the hand, between the thumb and forefinger. 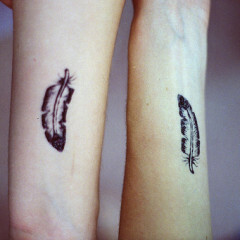 For some reason, hand and wrist feather tattoos come off as more personal, compared to feather tattoos inked on other parts of the body, like the arm or leg. Feather tattoos are popular tattoo designs and can come in a variety of shapes, sizes, colors and designs, but there are only so many feather tattoo meanings. 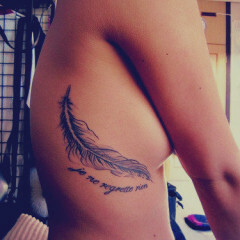 Depending on the wearer, the meaning of a feather tattoo can represent freedom, strength, friendship, love, virtue or innocence, among other things.